The House Ways and Means Committee is poised to vote on a resolution of inquiry Tuesday that would direct the Treasury Department to release President Donald Trump’s taxes. H.Res. 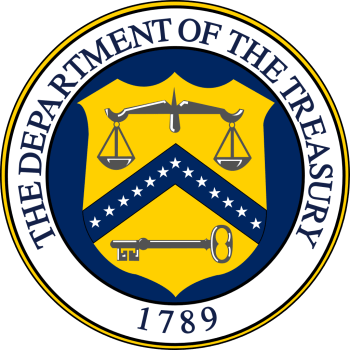 186, introduced earlier this month by Rep. Bill Pascrell (D-N.J.), directs Treasury Secretary Steven Mnuchin to hand over copies of Trump’s returns from 2006 to 2015, as well as any information the department has on his foreign debts and investments and use of tax-avoidance schemes. It would require the panel to invoke Section 6103, a tax law statute from 1924, which gives the committee discretion to request individuals’ tax returns for examination. The vote is set for 4:00pm EDT. Pascrell said he believes the president may be in violation of the Emoluments Clause of the Constitution, which prohibits elected officials from taking foreign money—a charge that the watchdog group Citizens for Ethics and Responsibility in Washington (CREW) also brought against Trump in a lawsuit filed earlier this year. The president famously refused to divest his assets from his family’s corporate empire while in office. His resolution has the support of Americans for Tax Fairness, a coalition of 425 organizations including MoveOn.org, the AFL-CIO, and Public Citizen’s Congress Watch Division. Likewise, recent petitions and public opinion surveys indicate that a majority of Americans want to see Trump’s finances, too. The activist group 5 Calls, which helps constituents get in touch with their representatives, urged followers to get in touch with the panel and express support for Pascrell’s resolution. The resolution faces an uphill battle, as the chairman of the committee, Rep. Kevin Brady (R-Texas), has hinted his opposition to using congressional powers to “rummage around” Trump’s tax returns. But Pascrell said the hearing at least gives him and other Democrats the opportunity to press the issue.